Set in the heart of the National Park in the small hamlet of Melmerby. 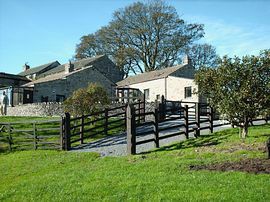 West Close Farmhouse offers you peace and tranquility with spectacular views over Coverdale. The rooms are all accessed via an exterior staircase and a former granery now offers luxuriouse accomodation with your own private entrance. 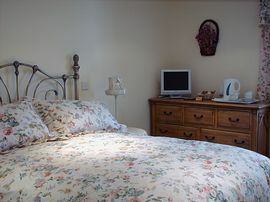 Each room is individually furnished and fully equipped with en-suite shower, flat screen TVs, tea and coffee, hairdryer and are centrally heated. The en-suite has a section of toileteries and there are bath robes for guests use. Breakfast is served between 8.30am and 10.00am in our newly converted breakfast room, which has individual table settings. For the second consecutive year we have aceived a four star grading with a silver award from Visit Brittian quality in tourism. Set in four acres with secure parking and bench seating to enoy the wonderful views. We have secure storage for bikes, and many walks can be enjoyed from the front door. 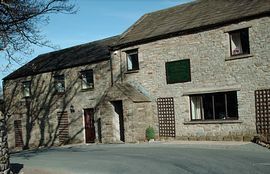 We are within a mile of Forbidden Corner and within four miles of the Market towns of Leyburn and Middleham. We are also able to offer bed and breakfast in a choice of two fully self contained cottages set in the grounds of West Close Farmhouse. 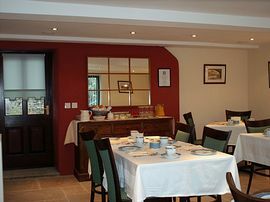 Bed & Breakfast with a difference in your own cottage. 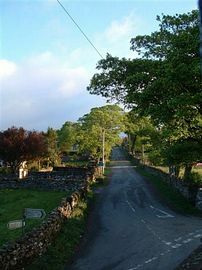 From Leyburn take the A684 to Wensley take the first left after crossing the bridge signposted Carlton and Coverdale follow this road for three miles until you come to the hamlet of Melmerby West Close Farmhouse is the first house on the left. "A fantastic find after a days hiking."